This is, without a doubt, our tastiest product and a favorite of our restaurants and our grocery stores. 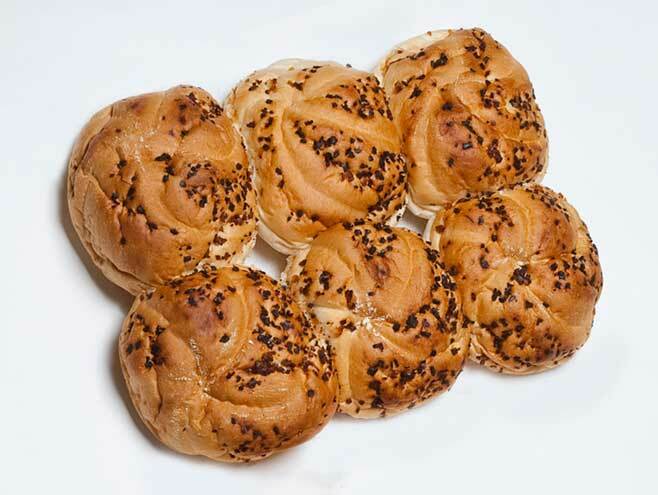 A touch of sweetness in the dough makes the bun itself too easy to eat and then we add chopped, cooked onions and bake until golden brown. This can be used as a sandwich roll, but is just as satisfying when eaten alone as a snack.